Turner Freeman Lawyers are here to help you no matter how big or small your claim might be. Simply call us on 13 43 63. Life Insurance / Death Benefit. You may be able to access your superannuation account balance prior to the usual retirement age if you are permanently incapacitated from working. If your claim has been rejected by a superannuation fund or your insurer, you may be able to contest, challenge or dispute this decision. Find out if you can claim Superannuation for these benefits. Superannuation is a long term savings plan for Australian workers which provides us an income when we retire. For many of us, super will be our only form of retirement income. From 1 July 2014, employers must pay contributions of 9.50% of salary into their employees super funds who earn at least $450 per month. Most of us have at least one (some of us more than one) superannuation and associated insurance policies. Below are the types of claims you may be entitled to if you are unable to work because of an injury or illness. 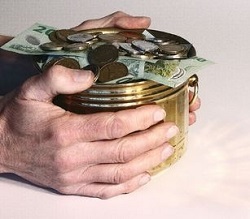 Superannuation contributions must be paid by the employer at least every three months. Most super funds also include disability and death benefits. These are usually insurance benefits which ‘top up’ your superannuation to support you or your dependants. For some specific occupations including Commonwealth or State public servants as well as members of the military there is also a range of additional benefits available including disability pension and lump sum death benefits. At least every 6 months, your super fund should send you a Benefit Statement which includes your account balance and details of any disability and death benefits. It is vital that you check if your employer is paying your super contributions regularly. These super contributions are recorded on your pay slips and you can also contact your super fund to check your balance. When you start a new job you have the option to choose what super fund you want your employer to pay the contributions to. Before choosing or changing funds, make sure you check the disability and death benefits that the fund offers and whether you can also keep any insurance cover you have with existing funds. You are also able to roll your super funds into one account. You can read the benefits of doing this in our Blog section including recovering any lost super you may have. Commonwealth Government legislation also allows you to access to your superannuation early on certain hardship grounds. Our superannuation lawyers can help you claim what you are entitled for or if your super claim has been rejected we can help you contest it. Call 13 43 63 for a free, confidential discussion. Our QLD offices are in Brisbane, North Lakes, Logan, Ipswich, Toowoomba, Sunshine Coast, Gold Coast and Cairns.